When we first arrived in Mexico City, it seemed like the closest thing to flavorful beer was a Negra Modelo. Thankfully I quickly discovered there is a bustling scene for craft beer in Mexico City. There are tons of bars, restaurants, and bottle shops (and even grocery stores!) with flavorful beers from around the country. After eight months, Luke and I have finally visited the most popular (and a few we accidentally discovered). I’m sure this is not an exhaustive list, and as we find more and sample different spots, I’ll be adding them to the list below. This is the very first craft beer spot we tried. It’s right on a busy corner in Condesa and the fridges are absolutely packed full of craft beer from around Mexico as well as a few international favorites (why does everyone love Sierra Nevada?). They do a few beers on draft, but the cheapest and most varied options are definitely by the bottle. It’s not a huge bar – about two tables outside and maybe another three inside. It’s one of the only bars that I’ve been to that gives a free bowl of peanuts (it’s the little things). Hours: Monday-Saturday 4:30pm-2am. Closed Sundays. I’ve written about my love for Mercado Roma before, but El Bebian definitely plays a large role in that love affair. A timid new arrival to Mexico City, I walked up to this spot on the second level of Mercado Roma and the two guys that run it were SO nice. They didn’t laugh at my bumbling Spanish and they helped me find a few different beers that I really, really liked. There are beers at El Bebian that I’ve never seen anywhere else. While it’s only a bottle shop, they’ll open it for you and pour it into a glass so that you can enjoy it with whatever snacks you order from other stands around the market. If you’re just shopping, they’ll bag up a few bottles for you to take to-go (para llevar). Location: Mercado Roma, Calle Querétaro 225, Roma Norte. Second floor along the back wall. 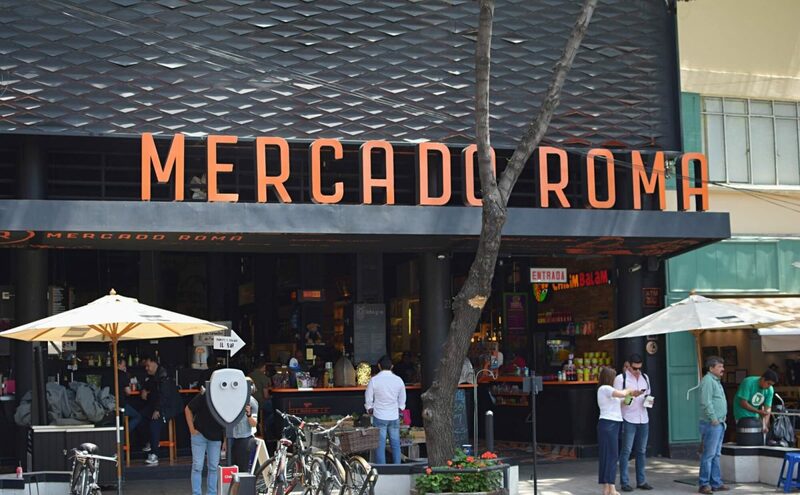 Hours: The hours of the stalls inside will vary, but the opening hours for Mercado Roma are: Monday-Wednesday 9am-9pm; Thursday-Saturday 9am-2am; Sundays 9am-7:30pm. This is a recent addition to the list and has quickly become my favorite bar in Mexico City. 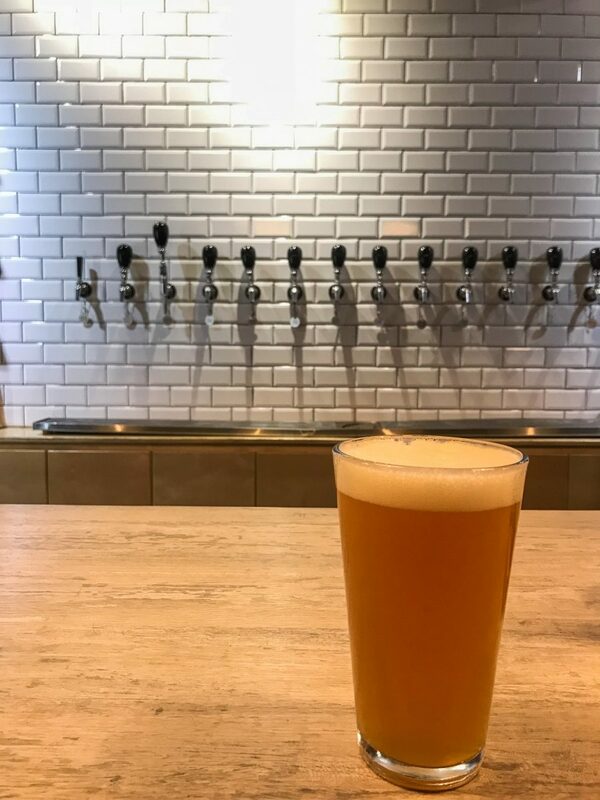 They are one of the few in the city brewing their own beer, and they’re doing it all on the premises. You enter on the bottom floor where you’ll see all of the copper tuns and smell that familiar yeasty smell. Head up the stairs to the bar and try some of their delicious beers. Their IPA, SIPA (session IPA), and Pale Ale are my favorites, but their dark beers are also delicious. I really love this spot. It’s a rooftop bar right in the center of the city and has tons of craft beers on the menu. The service is great. The only thing I think is kind of a bummer is that they close at 7pm. In the summer, sometimes there’s nothing better than sitting on a rooftop as the sunsets. It’s a really great view from up there and they do nice food as well. Location: Barrio Alameda (the name of the building) Calle Dr Mora 9. Walk all the way up to the top floor. Hours: I can never find any information about it, but I believe it is 12pm-7pm. There are several locations around the city. I’ve been to the one in Condesa and the one in Roma, and the one in Roma is the one I prefer by far. The location in Polanco is very quiet on the weekends. It’s on a pretty quiet street corner and although the staff are super friendly, it was just SO dead the evening we went (a Saturday night!). The one in Roma always has people in it and although the staff perhaps aren’t as friendly, I love sitting on the stools outside and watching the world go by on Álvaro Obregón. They have a few Minerva beers on draft (a Mexico craft beer) and for a pint it is pretty reasonably (usually about 60 pesos). They also do a few international craft beers on draft. The draw to El Deposito though, is the massive selection of international bottled beer. You can simply buy it to take home or you can enjoy it in the bar. There are some Mexico craft beers in the bottle, too. If you want to watch sport while enjoying a craft beer, this is the place to do it. Locations: Alvaro Obregon 21, Roma Norte (for other locations, check out their website). Hours: Monday-Wednesday 1pm-12am. Thursday-Saturday 1pm-2am. Sundays 1pm-10pm (although I’ve been there at 9pm on a Sunday and they’re trying to close up). 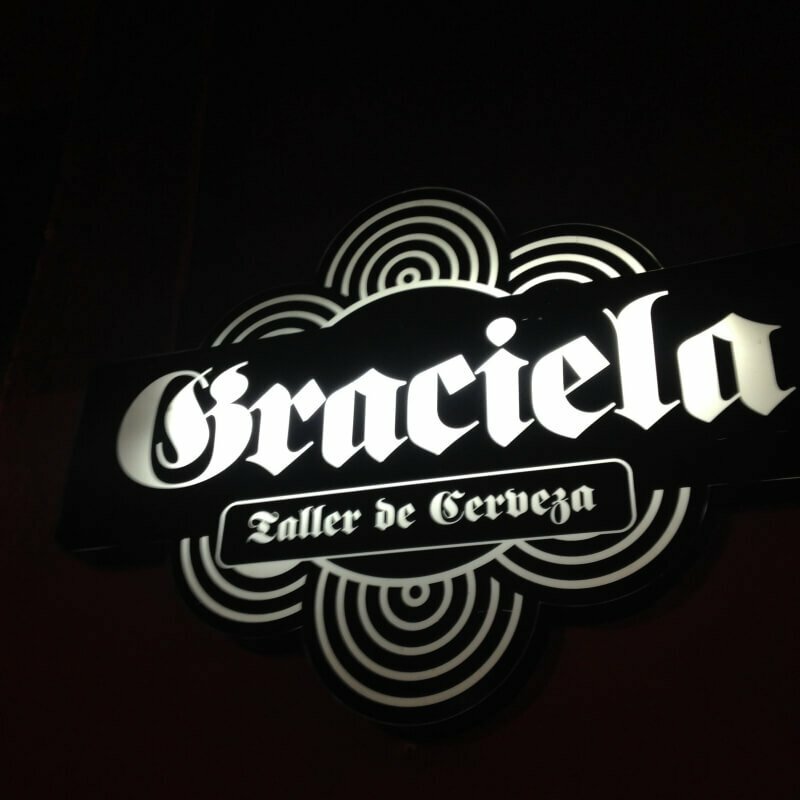 One of my favorite Saturday night spots, Graciela has great beer, great music, and really friendly staff. They also do some seriously delicious food (we usually opt for the wedges). The best thing about Graciela is that they brew there own on site. You can see the barrels from anywhere you sit and each time we go (which is often), they have different beers. They did seasonal ones at Christmas and when the weather gets warmer. I really like their dark beers – they’re always packed with flavor. Hours: Monday-Wednesday 12pm-2am. Thursday-Saturday 12pm-12am. Sunday 2pm-10pm. I’ve been to Escollo so many times and I think I’ve just gotten used to the fact that it’s always quite. The trouble with Escollo is that the bar has so many tables. It’s such a big place that it ALWAYS looks empty. That being said, Luke and I have been the only people in there on several occasions. Doesn’t bother me though, the beer is unbeatable. I absolutely love Escollo. The service is great and the beers are constantly changing. They have a few bottled beers, but we always go for the draft. It’s so reasonable – about 60 pesos for a pint, and it’s always good. A Bonus, it’s a two minute walk from Graciela! Hours: Thursday-Saturday 1:30pm-2am. Sunday and Monday 1:30pm-6pm. Tuesday and Wednesday 1:30pm-11pm. We kind of stumbled upon this Juarez location by accident. We were meeting some friends for food nearby and we got there early (a rarity with Mexico traffic! ), so we popped into this spot and ordered a beer. This is a chain, one we first found while we were in San Miguel de Allende. But each location seems to be run individually. No one place carries the same beers. This location had a lot of really, really delicious international draft beers that I’d never heard of before. They also have bottles of Mexico craft beer which were good, too. Hours: 12:30pm-9pm everyday except Sundays. Sundays they’re closed. I’m still not entirely sure how I feel about Fiebre de Malta (Malt Fever). I was a little under the weather when we went, so I didn’t sample quite as many beers as I would have liked. It just seemed like they were serving up the same beers as most other places, but with a higher price tag. I like the ambiance, I like how busy it is, and the location in the centro is surrounded by tons of great restaurants. But I just thought it was a little bit expensive. That being said, the selection of draft beers was HUGE. They give you a separate beer menu and it’s like a book. If you are looking for a varied selection, I recommend checking out Fiebre de Malta. Location: Calle Rí0 Lerma 156, Cuahtémoc (this is the one we went there, there’s also one in Polanco: Presidente Masaryk No. 48). Hours: Monday-Wednesday 12pm-12am. Thursday-Saturday 12pm-2am. Sundays 12pm-10pm. A cool little bar in Coyoacan. They have a nice selection of craft beers, but I mostly like it for it’s ambiance. It’s this little bar that, even though your inside, makes you feel like you’re sitting out in a garden. There are plants along the walls, some hanging from the ceiling. The lights are made of recycled metal barrels. Even the glasses are decorative. I would probably go back here if I was in Coyoacan in the evenings and wanted a nice place to have a drink, but it is a little pricier than similar places in Roma. Hours: Sunday-Monday 9am-11pm. Tuesdays 9am-12am. Wednesdays 9am-1am. Thursday-Saturday 9am-2am. We found this place by accident when we Uberpooled once. We headed there a few weeks ago for the first time and loved it so much we went back the following weekend. I love the chalkboard menus, the friendly staff, the delicious freshly popped popcorn, and of course, the ever changing beer selection. They have so many taps and both times we’ve been the list of beers was different. It’s also pretty reasonable for a nice big 1/2 liter glass (about 80 pesos). It’s a really small bar and it fills up quickly, but don’t let that deter you, it’s worth standing by the bar. Hours: Sunday-Tuesday 2pm-10pm. Wednesdays 2pm-12am. Thursday-Saturday 2pm-2am. This is a really great little bar in Roma Norte with a huge selection of Mexican craft beer by the bottle. They also have a few draft beers that change regularly. It’s one of the few places in the city where I can find my beloved Tijuana craft beer on draft. That being said, it’s also one of the most expensive places for craft beer in the city. While it’s not outragously priced compared to say, a craft beer bar in New York or Austin, it is for Mexico City. A medium-sized draft beer will set you back about 140 Pesos (about $7 USD), while most bars are selling glasses of local craft beer of a similar size for 60-80 Pesos. It’s also pretty quiet compared to the other bars on this list. In addition to craft beer, they also pride themselves on serving “craft coffee.” I haven’t tried the coffee, but they are open bright and early and I’m told the artisenal blends are very good. For a huge selection of Mexican craft beer, it doesn’t get much better than the Tasting Room. They have over 20 taps and when one runs out, they immediately substitute it for a new one. I love coming here on a busy Saturday night and trying a few different craft beers. It’s busiest on Friday and Saturday nights. Hours: Monday-Wednesday 2pm-midnight, Thursday-Saturday 2pm-2am, Sundays closed. I’ve saved the very best for last. I love this place. It has become a Sunday institution for us. They have beer on tap from a brewery called Hercules and it is my favorite Mexican craft beer. 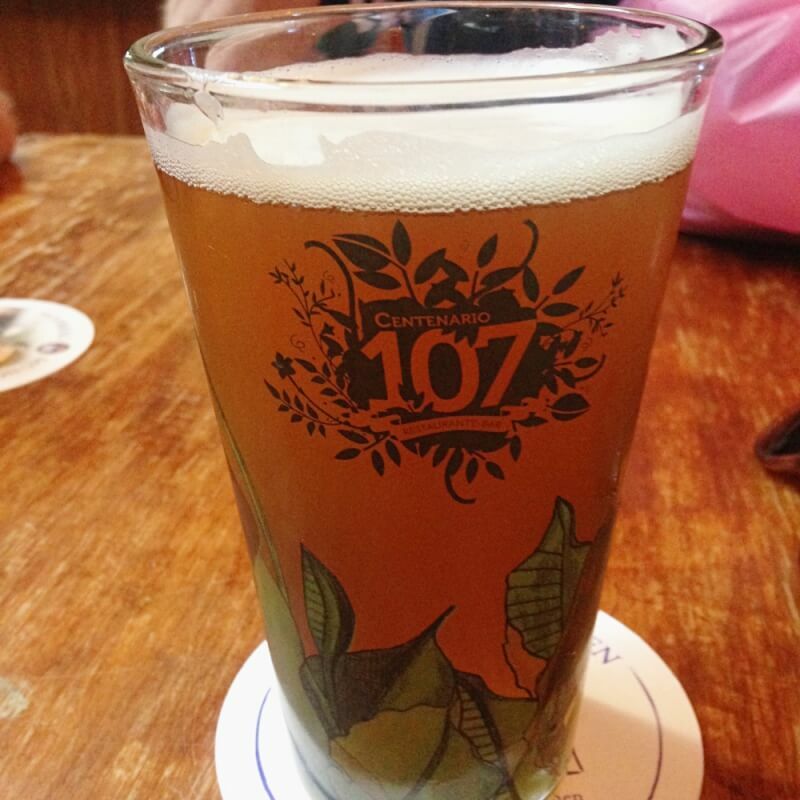 No matter how many different Mexican craft beers we try, none can compare to the English Pale Ale and IPA at Jardín. The setting is utter hipster perfection. It’s an outdoor bar set in an alleyway. The bar is made of shipping containers. The beer is served in a nice jug and the food is SO good. Especially the fries. Order the fries. Update: They have recently opened a new location, called Jardin Juarez, which is perhaps even better. It’s a larger space (still an outdoor beer garden) and they have an even bigger selection of craft beers on draft. Hours: Tuesday-Sunday 12pm-12am. Closed Mondays. Do you know any others that I missed? Let me know in the comments so I can give it a review! If you enjoyed this post, check out my Mexico City section for more tips on exploring this amazing city!